Exciting news in the Rum World... TFRS comment to be added soon. There’s not a lot I can add to the following press release, except – St Lucian rums are pretty much fantastic across the board, and if you’ve not yet spent any quality time with them – then you really MUST NOT miss out on catching one of the UK dates. Pure Joy In A Glass! It wasn’t that long ago that I wrote of my love and respect for Joy Spence as Campari marked her 20 years as Master Blender for Appleton Estate – a person to be admired on so many levels. My little girl might be too young for role models right now, but as soon as she’s old enough – I’ll be telling her all about her ‘aunty’ Joy and if she studies and works hard she ‘can be just like Joy Spence’. It’s Rum Time at Carnival Expo! 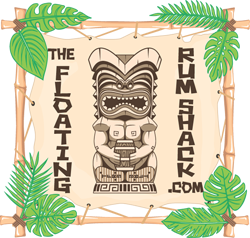 TheFloatingRumShack.com returns to Carnival Expo this May, setting up our Rum Education stand and furnishing it with a wide range of authentic and tasty rums from all around the Caribbean and beyond. It’s well worth the price of the entry ticket on its own and that’s without all the other wonderful fun and entertainment to be had through the rest of the show. Just Who Is That Masked Macaw?